Off season adventures await visitors and locals who are willing to think outside the seasonal box. Weather on Hatteras island is unpredictable in every direction, including unseasonably warm, calm days after Thanksgiving. On one such day I found myself fulfilling long held dream of playing my flute for the dolphins I so often admire from our deck. I am an enthusiastic amateur flutist, playing my flutes in concert and in unusual venues. 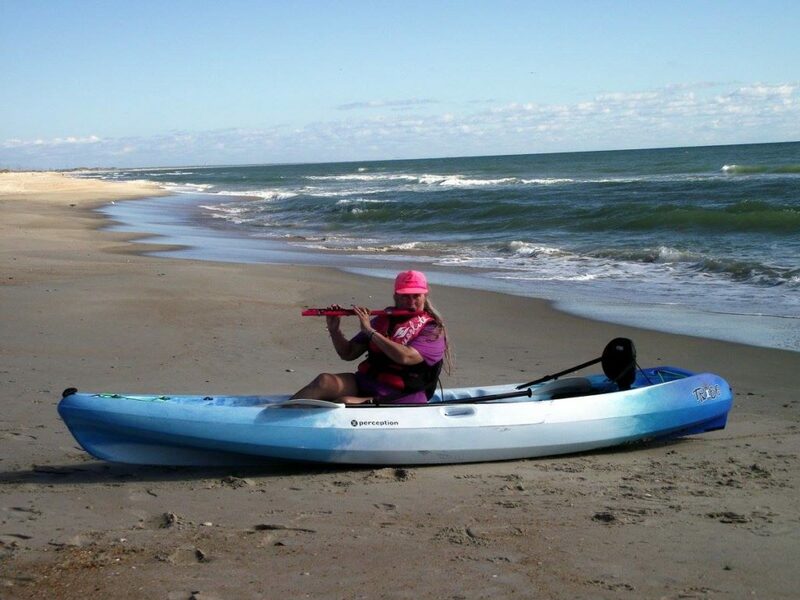 I purchased a waterproof Nuvo flute to make my outdoor musical escapades less risky for my flute. I especially like to play on beaches and in gazebos. I have played outdoor weddings and on the ferry and in parades. I have long wanted to play for the dolphins, but have been daunted by the logistics of getting past the breakers to the smoother waters where the dolphins often frolic and feed. I did some research on human interactions with wild ocean dwellers, discovering that "annoying or harassing" them is not permitted. I determined that it should be ok to put myself in a location where they could come to me or freely avoid me. I have seen surfers and stand-up paddle boarders and ocean kayakers and kite surfers out in the ocean among the dolphins, so I finally overcame my fear of the ocean enough to venture out there. Normally I am the kind of woman who likes to look at the ocean rather than get in it. I typically prefer not to be splashed, much less immersed. Tuesday, November 28, 2017 was a pleasant day with a light breeze and relatively calm ocean. Eddie and Gayle at Austin's outfitters set me up with a two person ocean kayak, complete with life vests and paddles. My husband and I carried the kayak over the walkway to the beach, floating it through some breaking waves before climbing in. My husband, who knows how to handle boats, did most of the work. 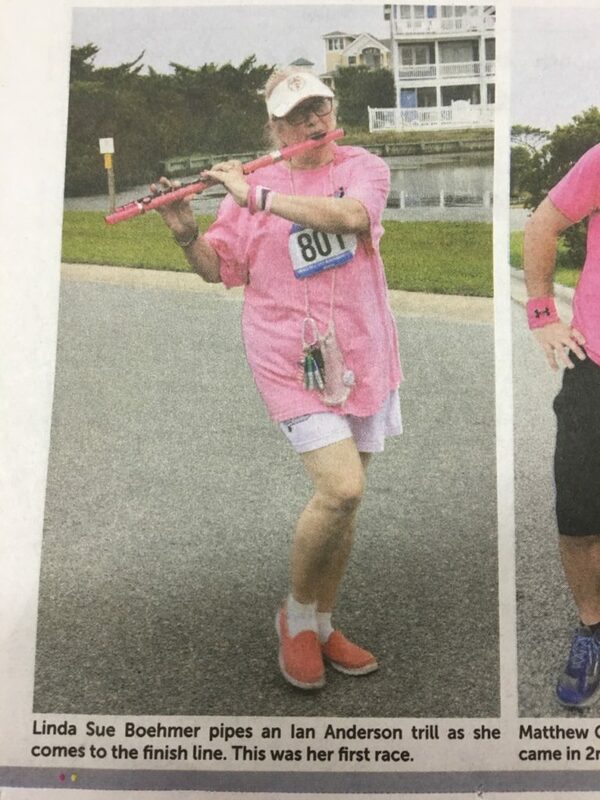 I barely managed to clamber into the craft, clutching my pink plastic flute in one hand. We paddled through the surf, keeping the kayak aimed directly into each wave to avoid being rolled over. The waves looked much taller up close than they do from the beach! Some of them broke right over us! Once we got past the breakers, I began to play, hoping to see dolphins. My husband was paddling enough to keep us from drifting back through the surf or being blown off course. Before long, there they were; a whole pod of silvery dolphins, heading right towards us! I keptplaying; Joy to the World, Ode to Joy and Amazing Grace. The dolphin pod kept swimming right towards us. It was so thrilling that I am amazed I could breathe well enough to keep playing my flute. My husband later said he could hear them breathing. They swam right up to us and then submerged out of sight. We do not know if they were attracted to the music or curious about the kayak or if we were simply on their route to wherever they were going. To say that we were thrilled by the experience is a vast understatement. We stayed out there a while longer to see if our dolphin pod might return or others might swirl in our direction, but finally decided to head back to the beach as the wind picked up. Unfortunately the return through the surf did not go as smoothly as the outbound trip. A big wave caught us as we paddled and flipped our kayak, spilling us into the ocean. Amazingly I came sputtering to the surface clutching my flute. My prescription sunglasses did not stay with me, since I have never been a person active enough to need a glasses strap. Even so, it was an exciting experience. I think I want to try it again, despite getting soaked. I wish to know if dolphins actually like flute music, perhaps even have preferences among tunes or the same tune indifferent keys. Stay tuned for more dolphin serenade adventures. 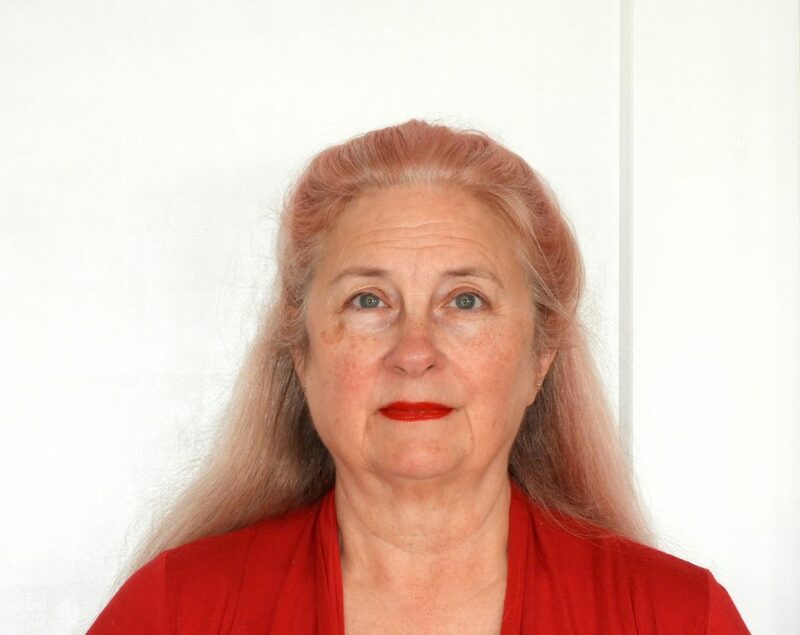 Linda Sue Boehmer: BS Electrical Engineering, Master of Divinity (original languages and sacred music), decades of solo and group flute shenanigans, including Pittsburgh City Flutes and many Flute Convention flute orchestras. Recently formed the Hatteras Winds on Hatteras Island, NC. Other interests include knitting, spinning, quilting, Ham radio and aviation.